Here at IBM Connect 2014 in Orlando this week I’ve had a epiphany. Or perhaps, I should say that I have actually come to face the facts I have long known to be true, yet tried to forget. Or rather, I tried to ignore the facts by imbuing my support for the bigger idea that is Social Business, with a greater aspect of my soul, and my aspiration for improving humanity. Yes, I still have aspirations for a smarter planet, a smarter workforce, a smarter city and a smarter, more informed citizenry (h/t to our friends at NPR as well as IBM there). But Social Business was barely ever alive, so it isn’t dead, it’s just a marketing slogan. No, this does not mean that I am disavowing my claims from my earlier post, “Social Business is Dead, Long Live What’s Next”. So, if you are one of the zealots hoping I have had a change of heart, you will be disappointed by what’s written here, yet I will encourage you to read on despite our disagreement. I suspect we agree more then you may even know, yet are still clinging hopefully to the symbols of these two words and the higher meaning it portends. When I recommended to my colleagues at Deloitte Consulting, at the start of my job in early 2011, that we pursue Social Business as our focus, instead of Social Media, it was based on an assumption I had made and an understanding that social media was the realm of creative and communications agencies more then consultants. It was an assumption that I now realize was only partially correct, which was based on an incomplete understanding of the facts I used as the basis to make that recommendation. Yes, I made that decision in large part because of the marketing muscle and might that IBM was putting behind Social Business as much as their prior success touting eBusiness, but it’s also based on what I learned from advocating and educating people about Social Media. At the time, I argued that we needed to call it SOCIAL media and not new media, and not, as my friend and respected colleague Steve Rubel argued, to just call it media. My reason was that we needed to accentuate and call attention to what was different about it: it was social, involving people sharing, and participating in conversations in public spaces. It has taken about seven years since those arguments in my opinion to reach the point that we can actually mostly just call it media now (though I am not opposed to calling it social media), but surely that realization has been evident for many months if not longer to many of you. Perhaps with Social Business, the cycle has accelerated and we have reached the point where extra differentiation or attention on the social aspect isn’t needed even faster then before. The one thing I keep hearing in the keynotes, in the hallways and in my discussions with leading analysts is that most of what we are talking about is just BUSINESS. It was always intended to be about the new way we should be doing business. It was abut leaving behind the exploitative ways of old to embrace more efficient, more effective and more human aspects underlying the engine of our economy. To this end, we do need a label, a symbol or a banner to rally behind; hence, we do need to call it something. That was really the point behind my Social Business is Dead post, to seek out and perhaps discover a better phrase. But none have materialized, and no appropriate alternatives that encompass the ideals has been suggested yet, though several exist which are at least partially true. This is why I don’t mind if we keep calling it Social Business. Or, that you might call it the Postdigital Enterprise. Or, if we talk about operating in the collaborative economy. There are probably few things I wouldn’t want it to be called, but my mind is mostly open. It’s a big transformation for the world, and that requires a big tent where thinkers and pundits and leaders can connect the proverbial dots and go about letting people see it as they do from their perspective, calling it whatever makes the most sense to them. Leaders, particularly in large, conservative, publicly traded companies are not ones to buy something because they’ve been told it will make them feel better, they want solutions to their problems and clear proven advantages that will help them grow profitability and market share. But still, some very smart people I have met and have known still think a social business is one that participates in social media spaces effectively with their customers, responding to tweets that might otherwise tarnish their reputation if they aren’t there fast enough. Truth is, as it has been designed, social business is much more then that – it is, as several speakers yesterday said proudly, “not something you do, but a way you are”. As I talked with colleagues here this week after I realized Social Business isn’t dead, it’s a marketing slogan, there was some head nodding and some very light resistance – but not much. There is nothing inherently wrong with that, and while it may be off-putting to some, it is actually just a label applied to a view of how the world should operate for the benefit of everyone, where organizations work to create shared value for our society. One society, under god, with liberty, justice and equal opportunity for all. And in that spirit of freedom, I won’t mind if my colleagues and friends keep calling it Social Business, as even I do from time to time. But I will be on the lookout for a better symbol and phrase for the foreseeable future. Because as those speakers has been saying, and as I have been hoping, its more then a set of tools, its a way of being that is different than most managers in the old world can even comprehend. What it takes is more conversations like the one we will be hosting at our next Work Hackers Salon later in February with Charlene Li at Altimeter Group’s Hangar. If you are in the Bay Area, I hope you can make it to talk to us about the fight of our lives, the fight for defining the future of work and ensuring it has a bigger soul that will drive an even bigger wallet. In the world of startups, a great advisory board is often used to demonstrate to potential investors that you know people who will let you use their name, which in today’s market conditions, probably means you can get a better chance of getting into an incubator/accelerator and might be able to convince some other first time entrepreneurs to join your team. For the Social Business Software company I am building, it is something entirely different, and more substantive. Yes, my advisory board consists of famous leaders you may know, or if you don’t know, you should. I began to coalesce the board around a specific set of experiences, connections and insights I was seeking to fill in areas where we couldn’t afford to hire or secure full time positions. I set out to fill these specific roles from my network who I already knew would grok the concept and be able to add instant value. It is truly a working advisory board, and thankfully it is nearly complete and moving towards its first formal meeting in the next week or so. While still in the early stages, they have each contributed some form of real value towards the concept development, identified some potential candidates for co-founders and validated the general business plan, agreeing to be part of our journey. Together we are striving to change how people work together and how organizations build more collaborative cultures. Since it’s still in the proverbial stealth mode, that’s all I will say about it for now. Today, I want to update you and my extended network on the progress to date and acknowledge the amazing members of the advisory board. Each of them have contributed so much already — I am truly grateful for their efforts to date and for their support over the coming year as we begin to grow the company. Dave Gray, formerly of Dachis Group, formerly of XPlane, currently and forever a great guy and world leading visual communicator/thinker. He also, together with a former co-founder / life long friend Thomas Vanderwal, wrote the book The Connected Company, which is a large part of a shared vision we have for destroying the current models of the org chart and enabling a more social form of doing business. David Armano of Edelman Digital is someone I deeply respect with similar views on the world as Dave Gray and myself, but who has been on the front lines of transforming public relations, traditional marketing and communications strategies with some of the most innovative brands in the world. He is a creative with common sense, and his contributions on the branding, positioning and messaging has helped to point me towards a brand name that will most surely serve as a competitive advantage. I have long admired his ability to simplify the core concepts of social media and social business, enabling others embrace and execute upon it in a practical way. Now I am glad to have those insights and communications skills to help grow our new company. Daniela Barbosa, now leading Business Development at First Rain, formerly of Dow Jones and always an industry leader around social, data portability and client centric solutions marketing, understands sales in this new era like few others. She is also a creative thinker, an incredible story teller and a deeply compassionate soul who represents the best in the all too often maligned function of enterprise sales, strategic alliances and business development. Bill Sanders, Managing Director of Roebling Strauss is a consumate project manager with deep domain expertise in digital, event production, operations and organizational development. Bill’s addition to the board came serendipitously as we discussed other potential collaborations and he began to speak directly to the problems I am striving to solve. His vast experience with customers in our target market, managing projects and developing innovative solutions to their toughest challenges is one thing, but his operations focus is a perfect complement to my expansive vision, ensuring we focus on getting things done! I couldn’t be more excited about the value he has added to the company so far and our potential for even deeper collaboration in the months and years ahead. David Sifry, serial entrepreneur, former CEO of Technorati, founder of numerous other startups, man of integrity and all around great guy provides us the knowledge and experience of having been through multiple startups. His experience and his startup connections are truly invaluable, but he is also a brother from another mother, whose personal counsel transcends the business discussion and whose smile puts everyone at ease. His drive towards a healthier lifestyle is also a personal inspiration for myself and many of our other friends across the startup ecosystem. Nate Pagel, serial entrepreneur, product manager, UX leader and possessor of an incredible work ethic is pushing me forward past the occasional blank canvas problem that comes with startups and providing a greater clarity of focus to what we are building and when we are building it. Nate was an early agency guy (like me) who sold to Sapient (unlike me), is the founder of Podaddies and more recently served as the web development (product) manager at Performance Marketing Brands (who own Ebates.com among other properties). David Allen, has held technology leadership positions (CTO/CIO/++) at companies such as Visa and i365 (a Seagate company). He has also been a supporter of Social Media Club and many other startups around the valley, providing an engineering perspective that looks beyond the technology to understand the underlying psychology at play in the internal operations and in the end users who the products are built to serve. I’ve been fortunate to share dreams, challenges and opportunities with David for over 8 years now, and have continuously been impressed with his counsel and friendship. So, to state the obvious, somehow we ended up with 4 David’s. Which in my view of the world is invaluable, because it will make slaying this Goliath of a problem we face in reinventing work that much easier! More seriously, it is one hell of an advisory board, with deep domain expertise, a deep passion for bringing about the transformation we most want to see in the world, and a deep level of personal trust I have built with each over the past 5-10 years. Most importantly, its not titular or intended to prove that I have connections (you can see that through my social media profiles). It’s intended to ensure the company makes the best decisions, has access to the best networks, is able to gain highly valuable insights, and finds its path towards growth – and exchange of sweat equity for vesting equity. That said, while I continue to interview potential co-founders for full time roles, I still have 3 specific advisor slots I am seeking to fill. And with these final slots filled, we will have our 10 person, working advisory board, all with the sort of experience, connections and brainpower to make us as succesfull as possible. I couldn’t be happier with this great start. With their support, we will begin to move forward on our product road map, build out the team and get to work in earnest on fixing what is most broken in today’s organizations. While we’ve only just begun, we’ve also come a long way already. I can hardly contain myself right now, but timing is everything, so when the timing is right in a couple of months I will announce the alpha sign up page and a few months after that the public beta. It’s such an exciting time, to finally be working on what truly makes my heart sing with the confidence that we will be forever changing the nature, structure and operations of organizations the world over, enabling them to empower their employees and to truly become social businesses. Go forth and pursue your dreams, there is nothing greater in this world… except perhaps being able to do so along with some of the people you most respect in the world who have your back and share your dreams. Thanks to each of you who have joined so far, and to each of you who will be joining over the months ahead! Today is my last day working for Deloitte Digital/Deloitte Consulting as a Specialist Leader focused on Social Business and Digital Strategy. I will be hanging out with my soon to be former colleagues a little bit at our Deloitte Lounge here at SxSW later today and enjoying the rest of SxSWi and all the #badgeless events this weekend. I hope to see you here in Austin and talk to you about what’s next personally, maybe even do some work with you. I know you don’t have time to read this whole story, especially if you are here at SxSW, so here are the highlights. Deloitte was a great experience, but I want to return to my entrepreneurial roots and start something from the ground up. I’m a tech/software product guy, who has been advising others on their products for too long, so I will be building an Enterprise SaaS startup to launch into Alpha in the next 90 or so days. Need my technical co-founder now, starting discussions to finalize who this weekend. While getting the product ready, I will relaunch my AdHocnium network consulting agency to do Venture Consulting with startups and work with a handful of big brands. I will refocus some of my time on making Social Media Club more sustainable, and sharing more insights around Social Business and Social Reengineering with our community. I will finally be writing my book, now that I have learned some more discipline, improved my writing skills and realized I have a unique perspective to share not seen/heard elsewhere. I am also getting involved in some other community projects to support the great work of some close friends, like John C. Havens and The H(app)athon Project and raising some money for the High Fives Foundation out of Tahoe. I need to hire an assistant right away. Looking for one who lives in San Francisco ideally, to manage the other virtual assistants and contractors for me – and to manage me too! Bonus if you are at SxSW this weekend and find me to talk. I actually have 8 really big ideas, and would love to start a lab to do them all, but I’ve gotten down to one that’s been validated by a few really smart people in the past two weeks. That said, I am still interested in getting my original Insytes idea produced, and from my work with the American Heart Association, I have a health startup in mind too – but ultimately – I will be working over the next few months to get the alpha built, raise funds and gain the market awareness for the concept that we will need to be successful with this enterprise SaaS product. Only time will tell what the startup actually becomes, and what it is called, so stay tuned. I will launch the site soon to get applications for the alpha, and then will be raising an angel round from friends and family. For those of you unfamiliar with my history, I have been ahead of the curve quite a bit over the years. At my first startup we were doing webmail a couple of years before Hotmail, but unable to pursue it aggressively. My CTO at the time said we just couldn’t run a bunch of corporate sites, our local content network VCN and tens of thousands of free webmail accounts off of the 486dx33 pseudo server we had at the time. I also created one of the first business plans for what is now thought of as social media command centers, then focused on conversational intelligence via Conversal. Ultimately, my dna is in numerous other now big company technologies and failed startups I advised as they were launching or maturing. There are so many great people at Deloitte, like Bill Briggs and Mark White, who I worked with on the past two Deloitte Tech Trends as well as both client facing and internal projects. They taught me a great deal. They aren’t just smart, they are cool and passionate – but their gift for explaining complex topics with just the right words amazed me during every interaction. Then there are the Dan’s, Dan Nieves and Dan Elbert, who helped unearth some of the most important insights around the role of engagement and corporate strategy. My original counselor and mentor Matt Law, my close friends Nelson Kunkel and Adrian Chan, the folks at the Center for the Edge, SocBiz PMO Lead Colleen Chan, KM/Community Manager extraordinaire Stan Garfield, head of Deloitte Digital US Mike Brinker and way too many others to list here. While the travel and work was demanding, and at times I allowed myself to be a bit too stressed, it was an invaluable experience which I will cherish fondly, and for which I am forever grateful to John Hagel and Eric Openshaw. My role at Deloitte was as multi-faceted as my interests, which is why this was a hard decision in several ways, but easier in others – even more so then leaving behind the security of a steady paycheck. I was a change agent. One of Deloitte’s “Social Media Guru’s” (though I still dislike being called that). I was an internal consultant on digital strategy, social media and social business for our firm leadership, the KM group, marketing, public relations, internal communications, enterprise applications, partners around the world, and numerous other special projects. I was a client facing consultant and proposal contributor around social media, social business, innovation, and platform strategy. I supported over 80 sales pursuits with some of the largest companies and government organizations in the world. I was a mentor and informal counselor to many of my junior colleagues. I lead the marketing, communications, training and adoption strategy work thread for our global Yammer roll-out, which supposedly was one of the most successful in the world. I edited or contributed to numerous articles for publication bylined by senior partners of the firm. I participated in webinars through our D-Brief’s program. I spoke at numerous internal and external events. I was published on our Deloitte Tech Blog and even in the CIO Journal. I advocated for enterprise user rights. I collaborated with our innovation teams. I was part of the “digital dozen” team that supported our acquisition of Ubermind and the subsequent launch of Deloitte Digital. I was, and still am, #drivenby_ transformative opportunities. I was a provocateur who stayed within the lines when necessary, and redrew them when necessary. I was, and always will be, part of the global Deloitte family. But even with all of these contributions, I was most proud to have helped the amazing executive, mission and communications teams from the American Heart Association with the development of their Social Media strategy, and eventually a Digital Transformation Strategy, to seize the opportunity presented by digital engagement strategy to fulfill their mission. During that work we developed some amazing tools that will enable organizations to manage engagement at scale. There will be much more about the Engagement Matrix and Engagement Wheel to come in the book I am writing in the next few months and the blog posts that will lead up to it. I am also now on the American Stroke Association’s Advisory Committee and expect to continue to support AHA for many years to come. I also worked with some incredibly passionate people from the United States Postal Service, working diligently to find a path to continuing viability in our digital future for one of the hardest working federal agencies I have ever seen from the inside out. They were connecting everyone of our citizens for news, love and commerce way before the internet was here, and continue to provide that service to every door in the United States today. I will be speaking atthe National Postal Forum, on insights around creating Mail Moments using outside in and customer experience design thinking on March 18 in San Francisco. All in all, there were just so many great moments, teams, clients and experiences, it’s hard to share them all here. In fact, some of the best of them I will never be able to talk about due to confidentiality agreements etc… but it was awesome. AdHocnium is a network consulting agency I started with some incredible people back in 2009. My title then, as it will be now, is tied to what I believe I do best for clients, I am a Creative Catalyst. The network never really got off the ground as I made some mistakes in the operations and the commitments I requested of the bright people who affiliated together to form it. I know what to do differently now, so I am going to do it and seek someone else to manage the essential operations so I can transition away to my startup full time once I get funding for it but still stay involved in the great work opportunities it will generate working with clients who really get it. This isn’t the normal advice you might get from a traditional consultant. This is the holistic kind you will only get from an agency with our unique set of connections, experiences and brain power. For startups who can’t afford the best and brightest (because they are smart and scrappy and want to use their funds for maximum impact) we will offer reduced fees to a select few clients in exchange for some equity in their company. We know everyone leading the social revolution and will create a workshop to bring those leading authorities to you to empower you to uncover the transformative opportunities of becoming a Social Business. The scope and scale of these projects range from a one-time workshop to a full blown assessment and strategic plan. I’ve been putting off the writing of my book for way too long. With the experience of the last two years at Deloitte, and my previously developed insights, I am going to get my book done this year. The working title is “Serve the Market” and will include things like customer experience life-cycles, clearing the trust filter and the engagement curve. It will also feature some invaluable tools you can use to manage engagement at scale and insights on how to better connect your organization for the maximum creation of shared value. More to come on this in April. As mentioned earlier, I will be spending some time invested in growing Social Media Club again. I don’t think anyone out there is doing a great job of supporting internal/corporate social media and social business practitioners, so that will be one area of particular focus. I will also work to develop a new SMC media literacy program, which was at the core of what I was trying to accomplish when I founded SMC. I’d also like to support some research projects from other great organizations we have long supported like SNCR and the Community Round Table. I am also proud to announce I was asked to join The H(app)athon Project Advisory Board and have accepted. A brainchild of our dear friend John Havens and his colleagues, this is a really big idea, supported by the United Nations and some of the biggest corporations and academic institutions in the world. In short, they are a pioneering group of people who believe that GDP is no longer the best economic indicator of success – that instead, happiness/well-being is a greater overall measure of quality of life and economic prosperity. So Happathon aims to generate ideas, and ultimately an app/service, that fuses together big data, social data, Internet of Things, Quantified Self and a few other ‘movements’ so that we can see, in near real time, a relative happiness score for different regions/countries/states and communities. I am co-hosting the San Francisco kick off event on March 20 at NextSpace Union Square in San Francisco. Join us. I don’t have enough money yet to be making personal donations to a lot of great causes, nor do I have the time, but I have a network and I have some ideas that might help them. Bringing this all together, I am hoping to help raise more funds for American Heart Association and others. Right now, I am starting with a little online fundraiser and perhaps an in person party in North Lake Tahoe to support the High Fives Foundation. After meeting and being inspired by the story of Grant Korgan at the #Snowcial conference last week, this great organization came clearly into view. When Grant shared his story of his recovery from near spinal destruction after an accident, it moved me to tears. When I learned how not only his wife, but the founder of High Fives was there for him, to motivate his recovery, I decided I wanted to do something to help others. Turns out, I won a snowboard in the beginners category of our Snowcial EpicMix Race, so I thought why not raffle it off to raise some funds and some awareness for them. More on that later today, or you can place your advance order for the raffle tickets by emailing me at [email protected]. They will be $10 each and we will be set up to take orders online shortly. Well, that seems like a lot of stuff I am taking on once again. Too much for any one person to do perhaps. But I don’t plan to do it alone, nor will I be doing it all at once. I plan to get leverage and I plan to eventually move to focusing 95% of my time on this startup I am building once it gets funding. Turns out, most of the other things I am doing, especially the book, will be very beneficial for the newco. While it is hard to be leaving Deloitte, right now is the perfect time to seize on these great market opportunities and return to my entrepreneurial roots. While I never really had a ‘boss’ at Deloitte and was given leeway to pursue whatever I thought best with my time, I never really could call my own shots completely either. Ultimately, Deloitte is an audit company and has a responsibility to the public that requires us to have absolute independence, to not speak about the companies we audit positively or negatively. This was really good training and helped me shake off my role of being a ‘vocal critic’, but also kept me out of the last political cycle among other things in which I really would have liked to have been actively participating. Earlier this morning, my post on “The Time Has Come for Holistic Business Strategy” has finally seen the light of day, published over on my good friend and colleague Brian Solis‘ site. Each January the last few years I have promised to start writing more and getting beyond my own internal writing challenges, and each year I have failed to live up to my own personal goal. I think this year we are finally ready to change that abysmal track record. My internal critic is often just too powerful for me to overcome. It’s silly, but I really don’t believe I can write all that well, and the process of writing/editing is very difficult for me – often times it feels too difficult and I have just given up on it. While its true that I am much more comfortable talking with people about these concepts and visions for game-changing notions, I need to get to the point where I believe deep down in my soul that I am not only a decent writer, but a damn good one. Over on Formspring the other day, my friend Todd Jordan asked what is my biggest plan for 2011? My answer was actually magically annointed with brevity, to “change the way business leaders think about managing their organizations and enhance their ability to create value”. Michael Porter’s publishing of this great article on “Creating Shared Value” has really inspired me to put my nose to the grindstone and invest in advancing this big idea – that we must think about not only the whole of the business, but also the whole of society and the impacts every member of the broader ecosystem has on the other players and the ecosystem itself. Yes, there should still be competition, as there is in the natural world it helps maintain balance. But what we have found with species like the silver carp in the fresh water rivers of North America, is that the introduction of a predatory competitor that is not naturally a part of the ecosystem, has disastorous effects on the survival of everyone and the ecosystem itself. This analogy holds true when looking at the ecosystem in terms of the market. In fact, we have seen the same sorts of results in the world of Social Media, with the prevalence of douchebags having harmed the market for social media services/consulting in a very similar manner. Metaphors aside, I am excited to think about writing more this year on Holistic Business Strategy and working on my book project where many of these ideas will reside. “Serve the Market” is the embodiment of many of these ideas and will hopefully inspire a change in the way managers not only think about marketing, but in how they approach the very nature of business itself. To understand more of what I am talking about here, please watch this 12 minute video of a speed keynote I gave at Webcom Montreal last year that outlines some of the higher principles at play. Chris Heuer – Serve the Market from webcom Montreal on Vimeo. 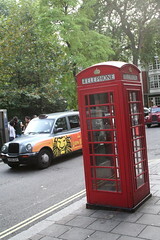 Well its not an official event like InternetWeek NY was, but for me it is a great Social Media Week in London. While I still have a few open appointment slots on Monday morning, the week is pretty booked up. I hope you will be able to join me at some point and say hello and we get a chance to talk about all the ways in which social media is creating growth opportunities and changing the way we work. So it is pretty much a Social London Week for me and I hope it will be for some of you who join me as well. The reason I am coming over is for the Gov2GovUK event and all the other opportunities to get together and talk present themselves when you think differently about how to connect with a community. We are really hoping to see Social Media Club take off again in London (Lloyd Davis was organizing Social Media Club events before starting Tuttle). We are really excited about Gov2Gov as I think it will be the start of something very big, where we are bringing together an array of events to facilitate international knowledge exchange on social media between governments and amongst their citizens. This is one stone that kills about 20 birds, as the outcomes from these sorts of meetings are filled with amazing potential. Not only does it improve international relations and facilitate cross border knowledge exchanges, it creates opportunities for entrepreneurship, business development, new ways towards civic engagement and so much more. Pay attention to the conversation around this as the next announcements coming later in the month are going to be very big… in fact, we will start talking about it on Friday evening, at the Gov2Gov UK event. I would be remiss if I didn’t give out a lot of credit for this event to Lovisa Williams from the U.S. State Department who helped in so many ways from introductions to organizational support and Dominic Campbell of FutureGov Consultancy who (very humbly) has contributed his expertise, his network and so much more. These are the sort of people that get me excited and make the work we do so much more fun. Am so glad I can call them both friends. Of course, huge thanks to the High Commission of Canada’s office for hosting the event. Of course, we have always known how great our friends to the north are (particularly Our Vancouver Crew) – I have now found that their representatives in Ottawa and in London are just as wonderful. So I hope to see you in London sometime this week, if not at our Tweetup on THUR at The International Bar, or The Gov2Gov UK Event on Friday at the High Commission in London, or at Tweetcamp on Saturday, then you better come out on Sunday for our Geek Field Trip to The Tate Modern. Or, if you want to meet with me independently, I have some time for business meetings on MON morning 29 June and would be happy to book appointments with you while I am in the UK. You are bidding on 2 hours of AdHocnium’s consulting services to be delivered byAdriana Lukas and Chris Heuer in London on Wednesday 13 May 2009. This is a one time only opportunity (for this moment in time 😉 This is a low cost way for a smart company to take our minds for a test drive, to see if what we know, and to improve what you are doing with social media, marketing and web strategies to make your organization more succesfull in these efforts. At present, the bidding hasn’t begun, so it is starting off at $50usd! Place your bid on eBay now. Why would we auction our time off instead of working hard to get our going market rate of $350 per hour for our time? While the answer is a bit complicated, its also very simple. In short, it comes down to these primary reasons. The mid size businesses, or even smaller ones that are seeiking real competitive advantage and are willing to take bold risks also dont have as much money. An auction gets us in front of people who normally wouldn’t seek out our services. Of course, even if you are in a big company, and perhaps especially so if you are trying to sell the idea of social media within your organization, we can create tremendous value to help you thrive while your competitors are struggling. No, I dont mean that we dont have any experience and are forced to do this, but rather that we get more chances to work together, on short burstable projects. Doing this auction with Adriana Lukas is a fantastic oppotunity for me to get in front of a client together – to get to know each other better, to learn from her while helping others. Of course, we also get another client to list in our case studies too. Naturally, the more experience we have, and the more we have doing this together, the more valuable our time becomes over the long run and the more we can charge. The more people giving us testimonials, like Kym Wong, the more you and people like you are going to be willing to trust us too. Kym told me she had a huge return on her investment of $162.50 when I offered this up in DC back in March as an experiment. Kym’s feedback on eBay was “Got tons of actionable ideas and advice! Worth 10x the price, highly recommended”. While my time and Adriana’s time is maxed out regularly, I always have a few hours when I am traveling to sit down with people and talk about their business and innovative ideas to help drive to the future. When I do, as was the case after my session at Next09 with a few people, I always offer up some free advice… to them as individual’s, not to their company. So if we can get paid a little something, instead of nothing for this, it creates a win-win for everyone. The reality is though, that we both spend a large percentage of our time on community works and big ideas that dont pay the bills in the short term. We simply dont invest as much time as we perhaps should selling outrselves (partially because we dont like doing that). If we were to try to sell our time actively during my visit to London, it would take dozens of hours over several weeks. If you factor in all the time making the sale, along with the time delivering the education or training, we have to charge a lot to make a reasonable rate of pay. This auction path allows us to be more effcicient, and hopefully get a better per hour return on our time then we would if we worked hard to sell that halfd day so some of the same people who would buy it. Is this story interesting to you? Might it be something you might try yourself as Rebecca Caroe suggested? Well, that means more people are going to hear about AdHocnium, about me, about Adriana and about others who are doing this with us. Our business model is pretty unuque too, so we get a chance to highlight the fact that we have reimagined what a gobal agency should look like, how it should operate, how we can attract the best and brightest talent and how we are leading our clients into the future. So while some may call it a stunt, it is much more (and honestly, it’s a little bit of that too). So what do you think? Anyone in London want to bid on a 2 hour consulting session with Chris Heuer andAdriana Lukas on Wednesday 13 May 2009? Let the bidding begin. You are currently browsing the archives for the AdHocnium category.